Krazan & Associates, Inc. has over 29 years of pavement design, analysis, and quality control management with the Federal Highway Administration, Caltrans, Washington D.O.T, Army Corps of Engineers, Airports and all sizes of commercial properties. 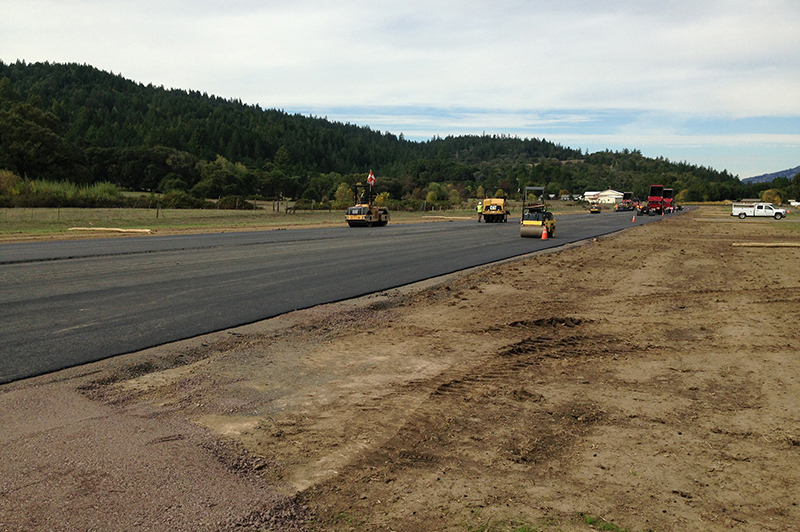 Maintaining highways, runways and commercial parking lots is a very costly task. It requires a thorough understanding of pavement technology, knowledge of pavement evaluation and the development of effective maintenance and repair strategies. Through a detailed evaluation program existing pavement conditions can be characterized and future performance can be projected. This performance data can then be used to determine maintenance and rehabilitation strategies that will correct deficiencies, minimize future pavement deterioration and quantify future maintenance costs. Pavement Rehabilitation Plans – Design report for evaluating pavement conditions, cost and phases of construction based on traffic loads, subgrade and material properties. Pavement Design – Engineered Drawings specifications and contract documents for implementation and enforcing the contract documents. Construction Quality Control – Construction management for quality assurance and to minimize disruptions to tenants. Pavement Analysis – Incorporates mix design, placement inspection, aggregate testing, and evaluation of asphalt binder and concrete analysis. Life Cycle and Warranty Analysis – Evaluate anticipated pavement performance model with future maintenance and rehabilitation costs. Pavement Management Systems – Computer based system for pavement management planning and phasing of streets, parking lots and runways that can provide a summarized project plan and review.